For more pics and stories, follow the link! 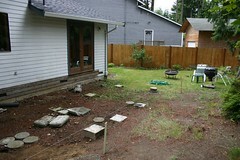 When i bought the house, there was a rickety red deck off the back of the yard, partially surrounding an old hot tub. The deck was not in very good shape, in fact, the house inspector recommended having the owners replace it before the sale. Instead, they cut some price off of the house. The deck survived for almost 2 years, although you could make it rock and bounce if you got enough people to stand in the appropriate places. At one of the parties when we had a fire in the fire pit, a group of us actually broke the stairs off and started burning them. That was the beginning of the end for the deck. Later that summer, my brother came out and the two of us took the old deck off the house and cut it up, and threw it into one of those huge construction dumpsters. We found a LOT of old concrete underneath, basicly buried under the deck so nobody could see it. We also found a towel and a volleyball. Jimbo, being Jimbo, wondered aloud what would happen if we were to hit the volleyball with the sledge-hammer that we were using for demolition. He bet that it would pop, i bet that it would make the sledge bounce back up and hit me in the face, so he should get ready to run inside and call 911. I was the closest to being right! It did bounce back, but i figured that would happen, so i kept it from rebounding all the way to hit me in the face. Ah, good times. This kind of thing was just one of the reasons that i wanted dad to come out and help build a new deck. after all, the volleyball is still sitting on the ground in the back yard! Before jim and dad came out, i took measurements, did some drawing on paper, took a picture of that, and then mailed it to Jim. 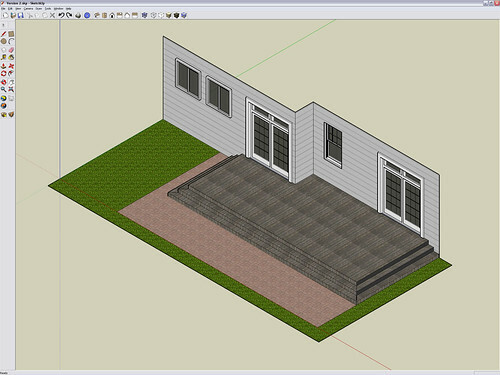 He then used his M4D CAD SKILLZ to turn it into a 3d rendering. He did a real final drawing here with autocad, i still need to get that version from him. Jim and dad arrived on sunday night, and took a look around. We plotted and planned, and dad had some really good ideas of how to start and what to do and what we’d need. I had to work monday, so while i was gone they pushed the old hot-tub off the slab it was set on, took measurements, put up some strings, and did some general planning. Jimbo took that info and started doing cad, to figure out precisely what materials we would need. Tuesday morning we went out and started collecting materials. 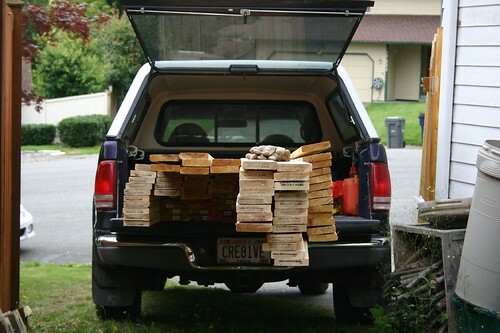 We got all of the pre-treated lumber, joist hangers, etc we would need for framing from Chinook lumber, piled it up in pops’ truck, and then headed home to start working. framing went pretty quick, and by the end of the day the framing was all done, and we started planning the stairs. Tuesday afternoon dad and jimbo started making stair stringers for the stairs. Wednesday was devoted to building stairs. Thursday was all decking. 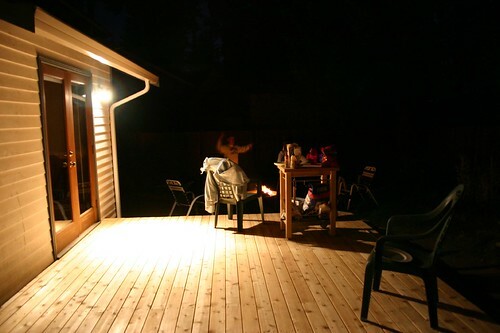 For the decking, we went with 1 1/4″ x 5 cedar decking. we got it all from the hockey rink at CedarBrook. Yes, they have a real hockey rink, and thats where a lot of the lumber is stored. Apparently back in the 90’s they had a roller hockey league there, and it paid for itself but didn’t generate enough money, so they started making cedar sauna’s and selling lumber instead. 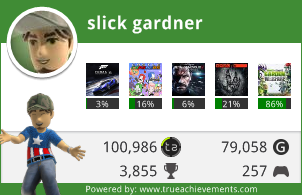 we could’ve gotten more in there, i swear! 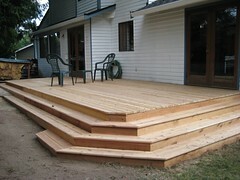 We also got some 1 1/4″x6″ decking from lowes for the stairs. we’d planned those out at 6″ width before we realized that not many places carry it. So the decking was 5″ instead of 6″. 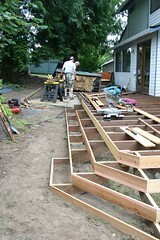 Thursday we got the stairs finished, and started the first couple rows of decking on the real deck. 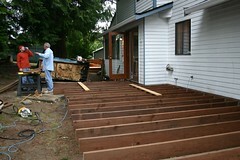 Friday was all laying decking. I had to work friday afternoon, so i only got to do decking for about half the day. Friday night i had to go pick laura up at the airport, so i worked that afternoon until i had to go down to SeaTac. On the way back from the airport they called and said they were all done, and to pick up some brats/burgers for dinner. They started the grill, we hit central market and got some of the biggest brats i’ve ever seen. We had a nice little cookout, then hung out by the fire to tell stories of decking and hear stories of Oz.